The gender wage gap means women must work into the next year to earn what white non-Hispanic men earn by the end of the current year. And how long it takes women to catch up largely depends on their race and ethnic background. August 7th was Equal Pay Day for black women, based on the fact they make $0.63 for every dollar white, non-Hispanic men do — so it has taken them until then to earn what those men earned by December 31, 2017, according to Equalpaytoday.org. That’s more than half the following year. Comparatively, the average for all women is $0.80 to men’s dollar. Native American women and Latina women earn even less than black women, at $0.57 and $0.54, respectively. One explanation behind this gap is that black women are not well represented in the highest-paying industries, like business and technology. Differences in employment by occupation and industry account for nearly half of the overall gender wage gap, according to a 2017 report by the Institute for Women’s Policy Research (IWPR). 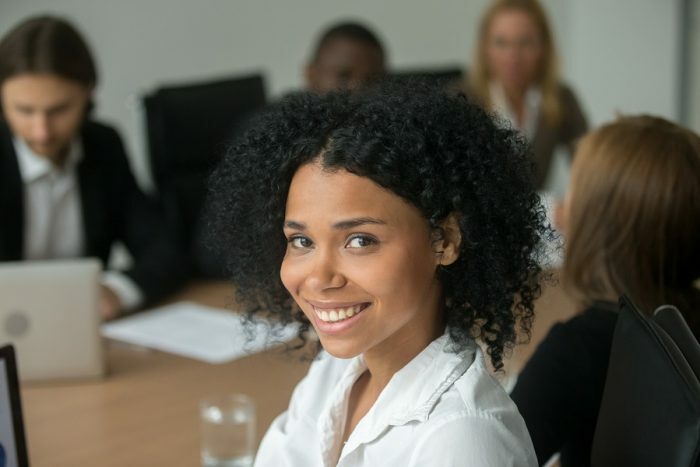 The 59.4% of black women in the labor force (as of 2016) frequently face occupational segregation that severely narrows their career and salary options. Of those who work, the Women’s Policy Research report said 28% hold service occupations — personal care aides, housekeepers, or cooks, all of which are at the lower end of the payscale. Just 11.2% of black women are employed in business, management or finance, which are the best-compensated roles. For Brittany Bruno, associate client support consultant at INova Payroll and former WOS-ADP program participant, training through the non-profit Workforce Opportunity Services offered her the opportunity to advance in her career. “I had a B.S. in Occupational Therapy, but I wanted to work in HR, and going back to school for four years wasn’t ideal or financially feasible,” she says. Participating in the workshops offered by the alternative training and development program of Workforce Opportunity Services made it possible for her to achieve her objective. Since Workforce Opportunity Services was founded in 2005, 43% of its program participants have been women; 91% of them women of color. This has benefited both women and the companies participating in the program who hire them. As has been well-established, increased diversity in the workplace correlates with higher performance. Companies in the top quartile for racial and ethnic diversity are to have financial returns above their respective national industry medians. The more education and training one receives, the better the chances they have to attain professional success and financial independence. This helps not only the individual, but the company they work for and the equality of men and women across the nation. A version of this article was originally published on wforce.org.